Home Features Restaurant Trends That Will Shape The Indian F&B Industry In 2018! Restaurant Trends That Will Shape The Indian F&B Industry In 2018! The food and beverage sector in India is extremely evolving in nature with even more evolving restaurant trends. This sector is already the largest retail consumption category in India, accounting for approximately 31% of the country’s consumption basket, compared to 9% in the US, 17% in Brazil and 25% in China. With population growth, globalization and coming of internet, food trends in the restaurant space are undergoing an all-time change. There were many trends expected to hit the market in 2018. With half the year already over, here we have tried to put in a nutshell the various new restaurant trends that made it big in 2018 so far. 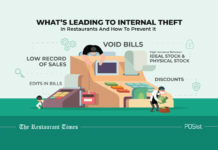 As per a report from NRAI, annual sales in the restaurant industry are $783 billion, and annual food and beverage purchases are projected to be at $279 billion. Considering the huge potential that this sector stores we have tried to narrow down the latest trends of the Food and Beverage Industry in India that will shape the first half of 2018. Home cooks is a new concept which has not only garnered a lot of appreciation but also shook the restaurant industry in India in 2018. A home cook format essentially involves a person who cooks in their home. While this format is similar to a cloud kitchen, but it has its differences as well. In a cloud kitchen, one runs more than a single brand, hires a chef and kitchen staff and mostly rents the kitchen itself. On the contrary, a home cook himself or herself takes orders and cooks right from their home kitchen. The success is not because of homemade food, but for the fact that the home cooks have been doing this job over the past 10-15 years, and in the process have gained immense exposure and experience. In addition to that, most people who have the skill can easily start a home kitchen since it does not involve many costs. With the rise of social media, digital marketing, and third-party delivery tie-ups, this format has gained greater feasibility, returns, and popularity. Hence, this new industry trend has gained a lot of appreciation in the Indian restaurant market of 2018. We are nowadays always on the lookout for places that will take us away from the common, from the busy, noisy concrete jungles. This is one of the main reasons why restaurant owners are increasingly looking for properties which is almost 20-30 kilometers away from the heart of the city on a highway. Highway restaurants have come up in a big way in the Indian restaurant space this 2018. Ample open space, terrace or probably a garden area are all that these highway restaurants encompass. The rent of the property is also lower than that of a space in a posh locality. It gives everyone a break from the monotony of everyday routine and gives them not just good food but also a great experience- something that big names in the restaurant industry had been counting on to hit as a trend in 2018. While this is already a much-loved format, in 2018 so far we have seen it grow beyond leaps and bound. The number of local QSR chains have been expanding and is expected to expand this year, shaping the restaurant industry in India in 2018. Ramji Chaiwale, Jantar Mantar, and Dr. Bubbles are some India based QSRs. While we can see the growth of local QSR chains in large numbers, the insertion of new International brands in the Indian market is also expected in the latter half of the year. Taco Bell with its new video ad, featuring Tanmay Bhatt has already cleared that it sees Indian restaurant space as a massive market outside the US. 2018 has been the year where more importance was given to the authentic native cuisines of India. The first half of the year witnessed people returning to their roots. Earlier, there were various restaurants which focused on international cuisines. While that trend is still alive, more and more people began exploring native Indian food from different states as well. The food trend in 2018 shaped itself along the lines of different Indian cuisines. While restaurants serving authentic food from different states like Lady Baga (Goan Cuisine), Dzukou tribal kitchen and Potbelly rooftop Kitchen gained greater acceptance from customers. As regional foods are being explored in the new food trend of 2018, local produce is being given more value. Farm to table practice is also expected to hit the trending charts as local produce is given more importance over imported stuff and regional cuisines have taken the front seat. Jute leaves are making entry and regional food changing the restaurant trends. According to Manu Chandra, chef and partner of Fatty Bao and Monkey Bar, “This year the millet will shine, thanks to the effort of the people of Karnataka and the government. This is something that is going to change the foodscape and will also give back to the farmer and the land”. Apart from this, whole foods are the most significant trend in the food sector. Their importance started right from the initial stages of 2017, and they are also perceived to be very good for health because they cut carbohydrates and avoid gluten. 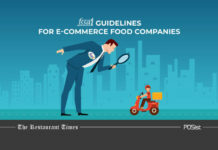 Whole foods are essentially those food items that have been processed or refined as little as possible and so are free from additives or any other artificial substances. When it comes to the list of whole foods, it includes items like wellness tonics, purple cauliflower, coconut chips, alternative pasta, and beet noodle. In addition to this, products such as other grain pasta have contributed to the overall sales performance. Fermentation is expected to take a high ground when it comes to food in the latter half of the year. Indian food already uses fermentation while cooking and this method will make its way up to food invention and experimentation in the coming months in 2018. Power food is also going to be a significant trend in the Indian food industry in the coming years. Chia-seeds, flax seeds, turmeric, and veggies will find their way not just to restaurant food plates but households in general following the whole fitness wagon. Gluten-free food will be the next talk of the town and will probably start off as a rising and viable food trend. Middle Eastern appetizers such as hummus, or items such as shawarma and Falafel are already the favorites of many. Middle Eastern spices are also creeping in to give a distinct flavor to your taste palate. Za’atar, an interesting blend of thyme, oregano, marjoram, and sesame, makes an excellent seasoning for chicken and flatbread. If you ever have grilled haloumi, then you will consider called mozzarella sticks to be your favorites! We have witnessed a steady move beyond the standard curry towards fast-casual street food in the restaurant industry in India in 2018. New menu innovations like tandoori chicken poutine or spicy lamb burritos or chicken masala pizza are now featured on menus. Food trend in 2018 in India features food from different and unique cuisines, for example, there are upscale Korean restaurants, which have come up in a big way. A focus on Persian, Israeli, Moroccan, Syrian and Lebanese cuisines have also revolutionized restaurant trends that India underwent in 2018. One of the latest trends in the Food and Beverage Industry in India in 2018 was veganism. There is a huge population in India who are or prefer to be vegan. Hence, to harness the potential of this massive crowd of vegans, restaurateurs brought innovative vegan alternatives to their menus. Plant-based Sushi has already been creating a buzz around the country. Even whole foods now offer tuna roll alternative which is made from tomatoes. The strategically engineered plant-based foods are becoming a well-grooved plan to attract the all the vegans out there! Things like soy-milk and grain cheese have hit the markets and diets of even those who are not vegans because of their nutritional qualities. Trends correlating with healthy and clean eating wave have been important in forming the core of newer restaurant trends that hit Indian food space in 2018. The breakfast menu has come up in a big way, and it is going to be the future of the restaurant industry in India. Whether it is waffles or pancakes, people are indulging in such dishes and are satiating their sweet tooth not only during breakfast but all around the day. 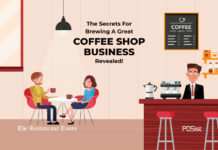 With this change in the attitude of the consumers, restaurants nowadays are not only offering breakfast menu throughout the day, but they are also bringing in innovations almost every alternate day. Be it waffle sticks, waffle sandwiches or variations in the domain of pancakes, and they have all managed to hitch the customers with their tantalizing taste. Alcoholic drinks bring in high sales for most restaurants. And people do indulge in drinks now and then. However, the industry witnessed a significant change in this sector as restaurant trends in India changed this year. Since people are becoming more health conscious, there has been a massive shift or rather an inclination towards fresh fruit juices, smoothies and all things natural. 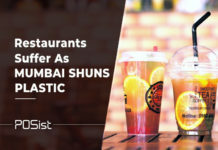 Sodas even diet ones have seen a drop as fresher local alternatives like Nimbu-Paani, Fresh lime sodas, Bantas or Juices hit the restaurant trend list with a slight twist. As far as the latest trends in the beverage industry of India are concerned, we have seen a shift to increasing demand for non-alcoholic drinks in 2018. Turmeric shots, charcoal-activated water, cold-pressed juices, and non-alcoholic spirits are becoming the go-to beverage for people in 2018. This shift was majorly expected because people had been continuously shunning alcohol or limiting intake since they value quality more than quantity. Fizz is expected to go a long way in the second half of the year. From sparkling coffee, sparkling sap based water drinks, to sparkling everything. Off late India has caught up to this fad of having G&T considering the climate, which has been unapologetic and warm, will encourage the introduction of Imported and Indian artisanal tonics. Mixology, which has already been in high demand is expected to reach new folds in the next half of the year. As the demand and interest grow, restaurateurs and bar owners in the restaurant industry in India are stepping up and focusing on how to raise their bars to international standards. This is a great move for mixologists as they are given the freedom to explore and get creative more than before. This resurgence of mixology might mean that your neighborhood bar may have a better selection of gins for your Gin and Tonic. Mixologists nowadays are trying to put away any old-timey or ultra-serious affections in favor of a redoubled emphasis on hospitality in whatever environment suits them. As one of the bigger trends in the restaurant industry, we saw bartenders teaming up with the chefs to maximize the usage of trimmings or leftovers from the kitchen to be used for cocktails. The lemon or orange peels are not wasted anymore. The trimmings are a good source to make homemade syrups, shrubs, and bitters, and we witnessed a steady increase in their use this year. 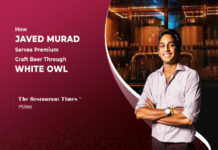 India is such a growing market in terms of fermented beverages, and the influence of the west has resulted in the growth of craft beers, breweries in the country. Hence, 2018 saw the launch of the first Meadery (fermented beverage from honey) in Asia called Moonshine meadery. This is one of the most popular restaurant trends which had a major impact in India in 2018. 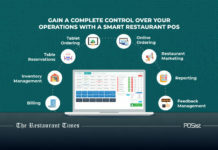 Technology has nowadays become a basic prerequisite that ensures that the operations are carried on seamlessly, and to be true restaurant industry is no different. 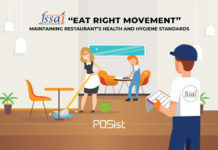 This sector too has witnessed the wave created by the impact of technological innovations which have taken restaurant operations to a new height. This overwhelming presence of technology will in no way fade away; on the contrary, we have been and will see newer equipment, better methods to spread awareness and increase in the use of restaurant technology in 2018. Read below to know more about these trends. 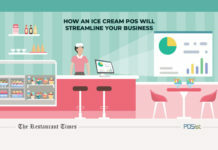 Restaurant POS systems are already an in-thing, and a majority of the restaurants are using the restaurant management system to their advantage. 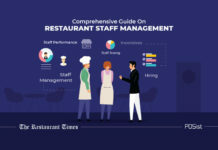 So far, restaurant management systems were more inclined towards automating and optimizing the restaurant operations; little emphasis was given to customer management. The major restaurant trend in 2018 as has been a move towards delivering more customized and personalized guest experience. This is being done by leveraging technology. By gathering the customer data, restaurants are analyzing the customer history and behavior and using it to deliver personalized service. For example, from the information gathered you can very effectively send personal messages and emails on their birthdays or anniversaries and offer them special concessions. The previous order history that gets stored in the POS system will help your waiters suggest similar food options or up-sell menu items. 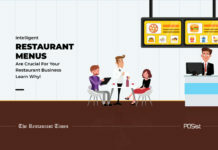 Restaurants are now focusing more and more on customer retention and engagement. The year 2018 saw an upsurge in personalized Offers & Discounts being offered to customers. While running Offers & Discounts has always been prevalent, running specific offers according to the area and demography has always been a challenge for large restaurant chains. 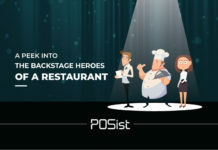 With the help of Enterprise Marketing Module, restaurants are now able to run special Marketing Campaigns at the outlet level. Restaurants can run specific Offers at different restaurants, and tweak the campaigns based on their performance. This high level of customization allows restaurants to optimize the Marketing Campaigns and generate better results. The official launch of Coravin by Brindco sales Pvt Ltd has created a hype unlike any other in the wine world. This is something very new and has created a buzz in the F&B sector. Before the revolution of the internet, Facebook, YouTube v-logs and ‘Live Videos,’ chefs and restaurateurs made it big through books and TV. Now thanks to social media they have better and more approachable ways to reach a home audience. As more and more people took up YouTube instead of cookbooks to learn cooking or to watch celebrity chef’s live videos or v-logs instead of TV shows because of lack of time and fast-paced nature of existence, a new breed of online chefs appeared. 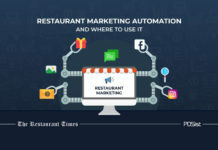 Social media presence for restaurants will also be the defining game for their popularity, and use of digital marketing for restaurant space is the expected food and restaurant trend in India this 2018. 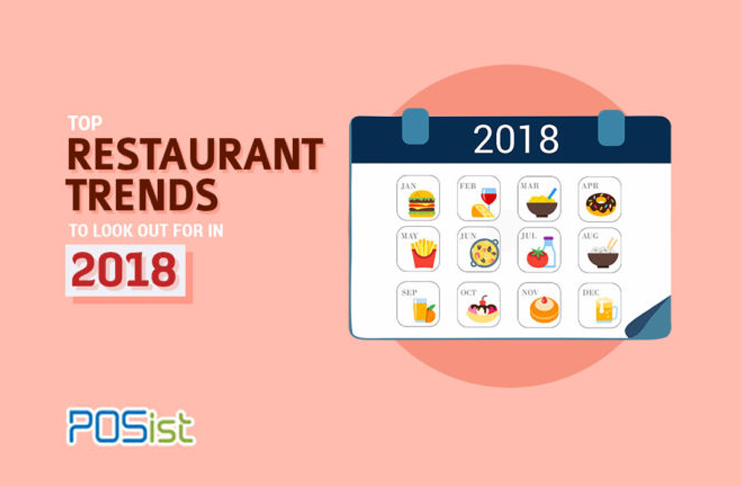 The Restaurant Industry in India 2018 is dynamic and ever-changing. The growing needs of consumers and exposure to the global trends, make it imperative for restaurants to constantly innovate and bring in new ways to keep the customers enticed and keep coming back for me. Each year, new restaurant trends come and go, while there are some that evolve and get absorbed in the businesses. This is a great article that quite successfully sums up the year that passed by. 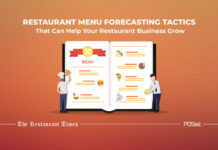 Really looking forward to an article on the restaurant trends 2019, that will capture the restaurant industry massively in the upcoming year. This article was very informative and true, I have seem these trends catching up in 2018. Sincerely waiting for the restaurant trends to lookout for in 2019. This would certainly give the restaurant owners a headstart for the comimg year. We can see most of these restaurant trends live in action. Healthy food and mixology have emerged as prominent food trends in 2018. Absolutely informative, thank you for the insights and forecast!